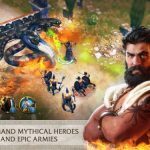 Rival Kingdoms: Age of Ruin is an iOS-only game by Space Ape Games that, in theory, will allow you to build the ultimate base, forge a mighty kingdom, and crush your enemies. 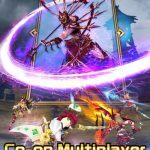 You get to team up with Ancients, Warriors, Gods, and Monsters and harness their powers to defeat your enemies in this strategy-based MMO title. You also get to enjoy outstanding next-gen graphics and an epic storyline. So how do you make your base ultimate and your kingdom mighty as you dispose of your foes? 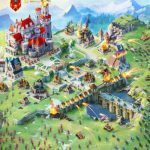 There are many ways to do this, but we’ve got collected Rival Kingdoms: Age of Ruin cheats and tips that could probably make it easier. There’s nothing new about this tip – as it is in other games with a city-building element, you want your most important buildings to be protected by walls. Not only does this offer protection, it also allows you to fend off your enemies for a little longer. Then again, there are also some units, such as Wardens, that can circumvent those walls, so keep your guard up for these troops. Here’s another tip that isn’t unique to the city-building/strategy/MMO genres. If you’re not sure what your next move should be, simply follow the quests that the game recommends to you. Tap on a quest to take it, and you’ll be rewarded with gold when you complete it. 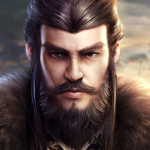 You’ll also have a chance to earn some diamonds, which are Rival Kingdoms’ premium currency. We mentioned Wardens earlier, and as far as your army and kingdom are concerned, they’re your most important troops. As such, you want to keep these troops protected, and the best way to do this is to send your soldiers to battle before everyone else. Have them act as decoys by moving them towards the towers, and have your wardens proceed right behind them. As your soldiers “take one for the team” and take the brunt of the damage, your Wardens can fire away against the opposition. When starting out in Rival Kingdoms, you can get a jump on everyone else by attacking other players. This is a good idea because most players likely won’t have protected themselves yet with any defensive structures. Aim at their undefended buildings, and take note that you start out with a shield, which automatically protects you from early attacks. In reference to the shield we told you about on the last tip, this is only going to be active in the first ten hours from the time you start playing. This “timer” will keep running even when you’re not playing, so it’s highly recommended to make the most out of your first few hours by playing Rival Kingdoms for as long as you could. If you’ve gathered enough mana, your Ancient will give you special powers. For example, starting Ancient Sulric provides you with a fireball attack, a fire elemental summon, and an armor buff for your army. The elemental summon is particularly useful, so it would be best to save your mana for this summon.